After seeing almost everyone in the blogging community rave about Benefits Lolli Tint - the newest addition to the tint range, I had to get my hands on it and see what the hype was about. It is described as "candy-orchid" which I think is right on point. It is a gorgeous blush with a purple undertone leaving a gorgeous stain to be used on the cheeks and the lips. Unfortunately due to the natural colour of my lips the stain doesn't do me many favours however I am loving it for the cheeks!! 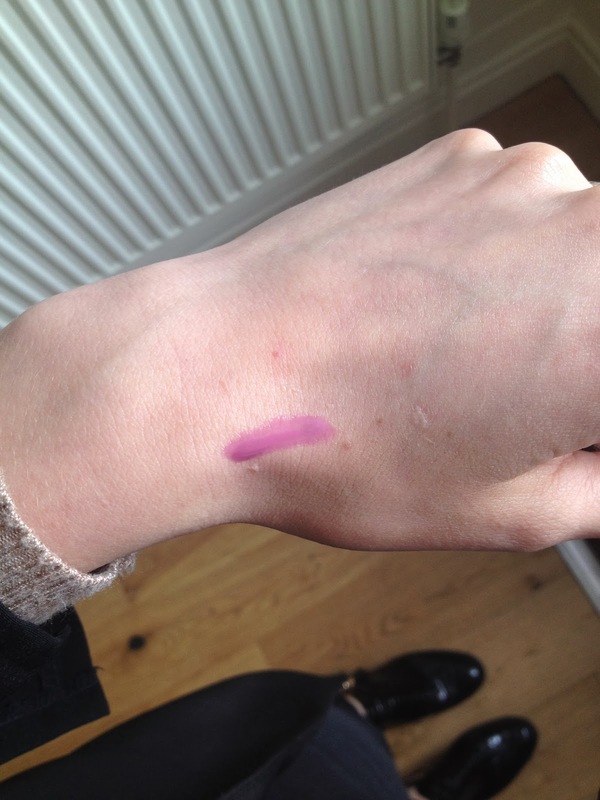 Is it so important to blend it out as quickly as possible after application as it dries really fast and stains all day leaving you looking like a girly tribe member with 3 pink stripes across your cheeks.... Not cool. For £24.50 you get 12.5ml of the Lolli Tint, at first I thought this was pretty pricey however looking at how long my High Beam has lasted me I think it is a very reasonable price for the amount of product you get and the little you need to get the desired effect. I've got a feeling this colour will look gorgeous in summer with a tan and I can't wait to get some more use out of it. Good work Benefit!!! Follow me on Instagram, @styleaked to keep up with my daily life and things I'm too lazy to blog about... Oops.